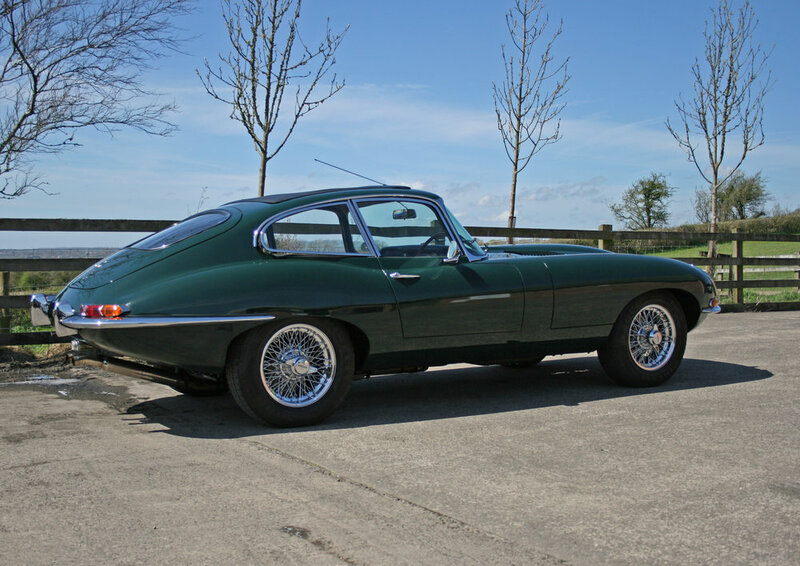 The most beautiful motorcar ever made? Enzo thought so, as I'm sure you've heard before. If you've not driven one, then you should. 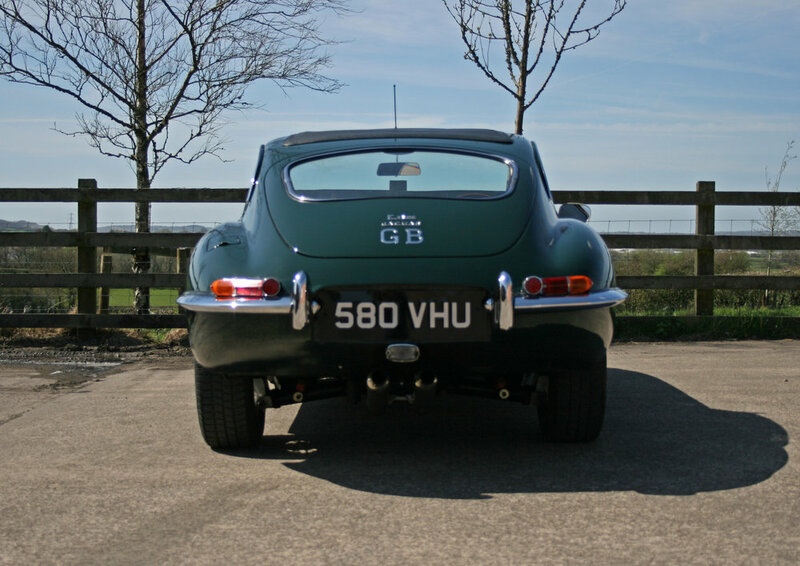 Then you'll appreciate how far ahead of the game Jaguar was when it launched the E-Type in 1961… so far ahead of the game that this car still feels relevant now, 57 years later. 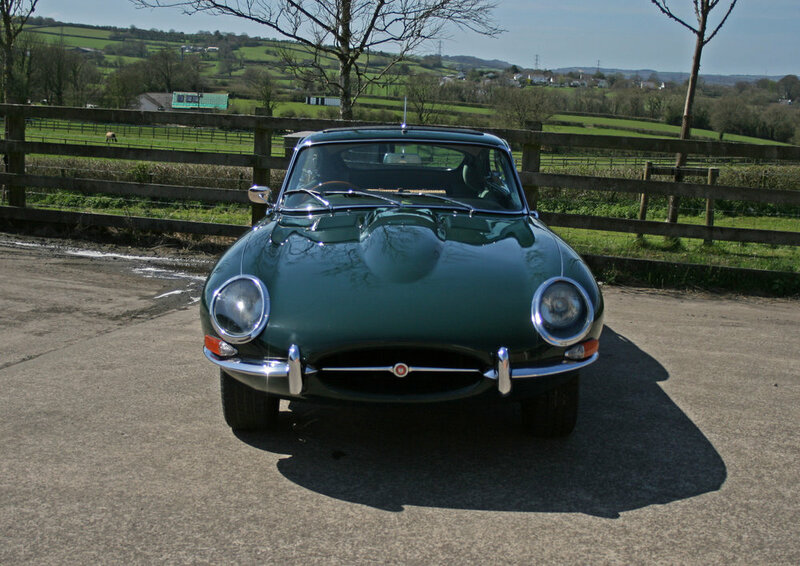 And this series 1, 3.8 fixed head coupe is simply best of breed. 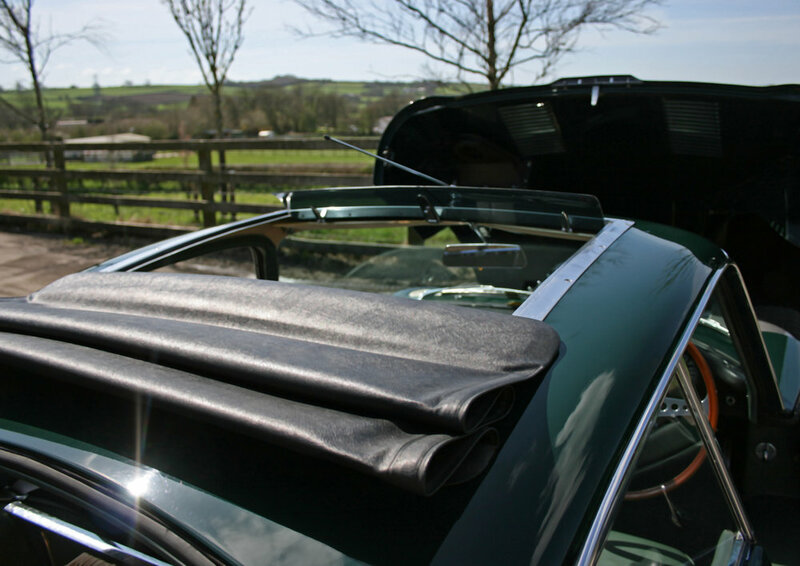 An original right hand drive car, distributed by Henlys, London to Western Motors of Bristol in Dark Green with Suede Green interior, it wears its originality with a patina not present in a freshly restored car. It retains its original engine block, mated to an all synchro 4 speed box. Coopercraft brakes give it great control and wider chrome spokes shod with 205 section tyres give it a stance and road presence that inspire a sporting driving style. The Goodwood Road Racing Company thought so when it sent a special invitation for this car to compete in the Goodwood Revival meeting, 2006. Great condition, great drive, great history. Why not make it part of yours?